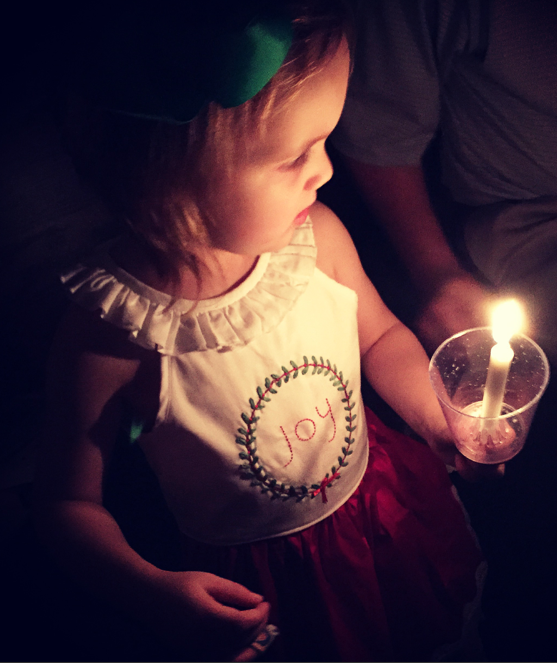 Total Tippins Takeover: christmas snapshots…. 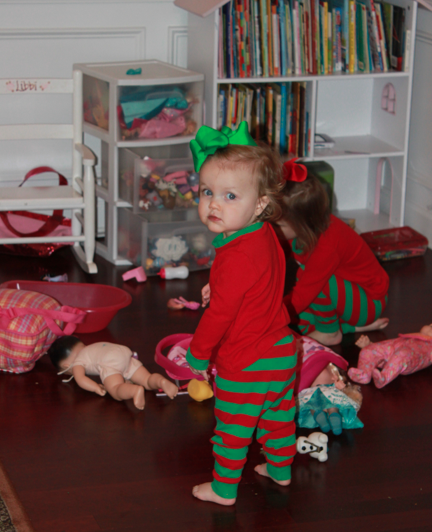 the tippins family had a wonderful christmas! but man, oh man am i exhausted! it's crazy how a few days of doing "nothing" can really wear me out - ha! 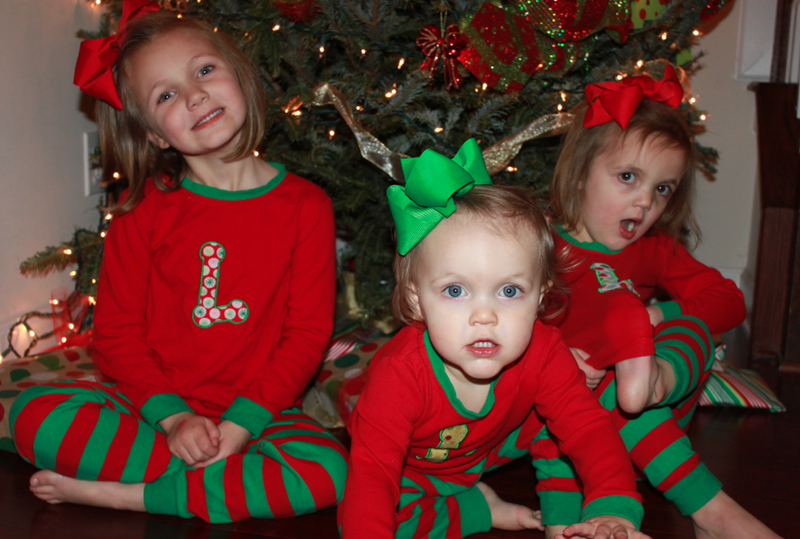 my girls loved every minute of christmas. 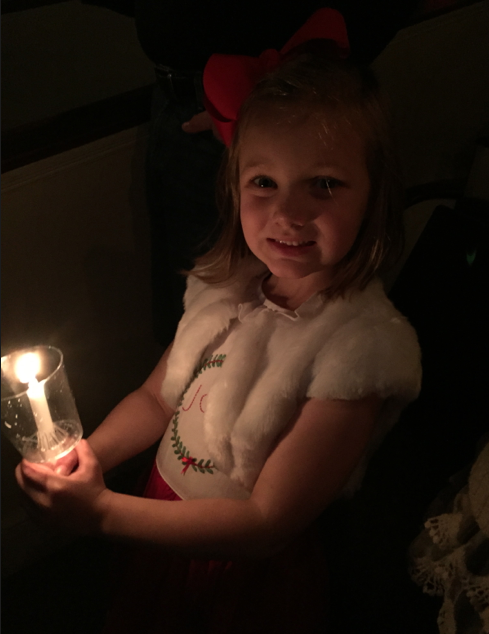 between parents, grandparents, great grandparents, cousins, santa, and more… it's safe to say that they are now completely rotten. 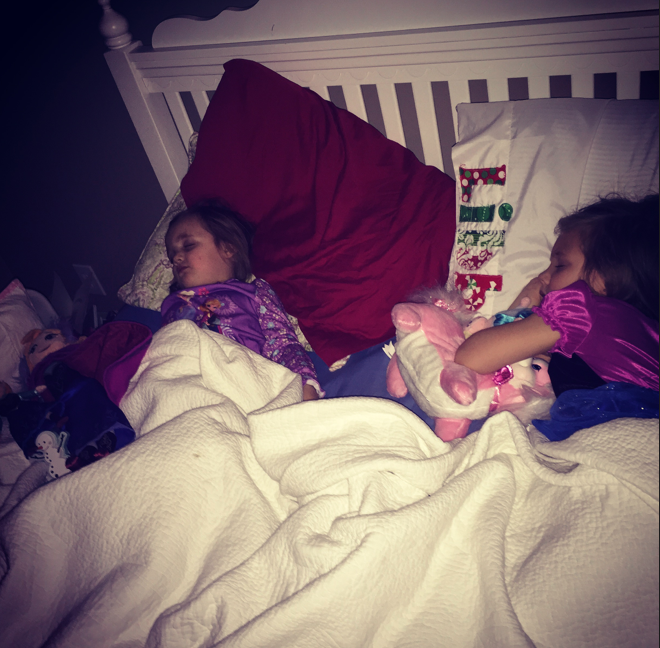 people always say, "kids are expensive" but no one ever tells you how much space they take up - ha! we're going to have to move to a new house just to store all of their stuff. our house looks like it has been taken over by a toy store and we haven't even opened half of the girls' new things yet! but the good news is, they've been playing together so nicely, so we've been able to restore some type of order in our home. libbi and laney have played game after game after game and have had the best time together. 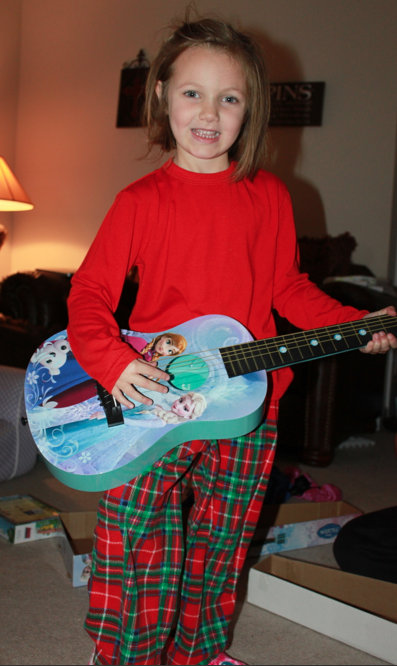 libbi's favorite gifts so far have been her guitar and her elsa doll that sings. (and before you ask, no… she does not have any musical aspirations. she just wanted a guitar. more than likely it's so she can "play" while she and laney belt out "let it go"
at the top of their lungs. #joyfulnoise #earplugs) haha! the elsa doll has also been a surprise hit with liza. 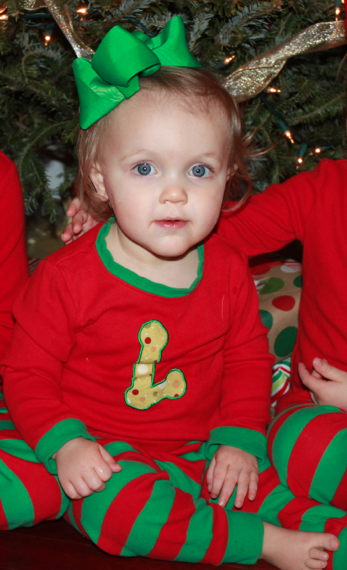 laney's favorite gifts so far have been puppy surprise (surprise, surprise, puppy surprise!) i'm not sure if she loves the toy as much as she loves the fact that her dog had FOUR puppies while libbi's only had THREE. plus, one of laney's was a BOY! libbi was green with envy. but in all honesty, we're probably down to about three puppies total now. those little things have a way of disappearing. laney also loves her cash register. it's been a wonderful addition to her "shop" and we've all taken plenty of turns checking out. she and libbi both love to announce the missing children over the built-in microphone. "there's a child lost on aisle 7…. a child lost on aisle 7…." haha. never a dull moment in laney's shop. both girls have enjoyed their suitcases from Granny B. although i'm sure she had no idea that they would be using them on the daily. they pack them and unpack them more times than i can count. and they always announce that they are going "on holiday!" (which may be a tiny hint that they've been watching too much peppa pig). no vacations here. just holidays. ha! 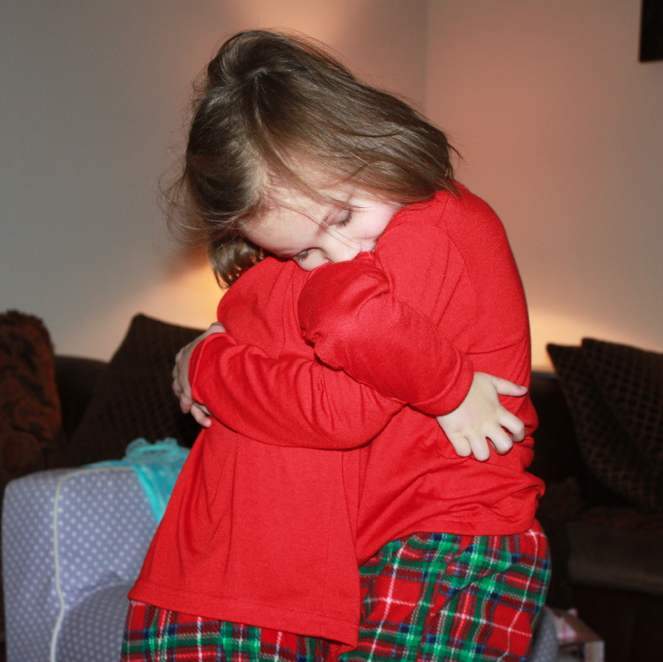 liza's favorite gifts so far have been anything that libbi and laney love - ha! 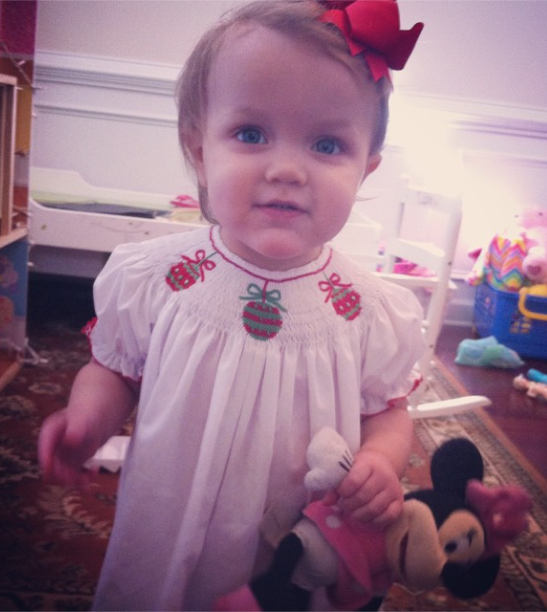 her minnie mouse (from libbi) and her ball popper (from santa). we hear "minnie!" and "ball!" countless times a day. and as much as the girls fuss over liza getting into their things, you better believe they are all over her toys just as much. last night jeffrey had to pry figaro (minnie's cat) from the ball popper, because laney "thought it was a ball and accidentally dropped it in there" mmmhmmm…..
i'm excited that we have a week of christmas vacation left and not many plans. we're looking forward to spending time at home and just playing. it's been fun watching the girls enjoy all of their new toys but even more than that, it's been wonderful watching them enjoy being together.